It took president Mr Jacob Zuma seven years to visit the Kruger National Park to experience the devastating effect of rhino poaching first-hand. Although Zuma had been in Kruger before, this weekend was the first time he was there for the sole purpose of familiarising himself with the extent of rhino poaching and the efforts being undertaken to curb the massacre. 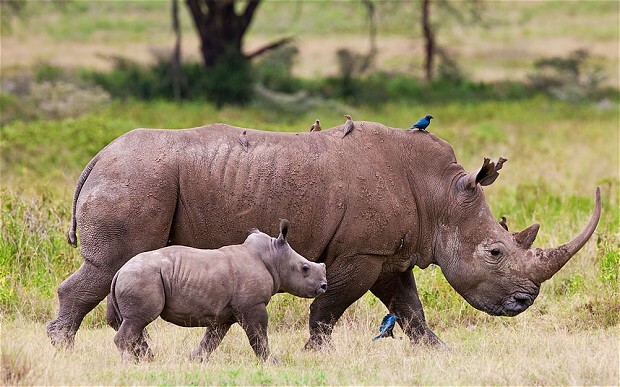 Conservation experts are concerned that government is not doing enough to curb poaching. Zuma tried to put the critics at ease, saying that he personally came to Kruger “to demonstrate the highest level of commitment by South Africa to address this challenge”. 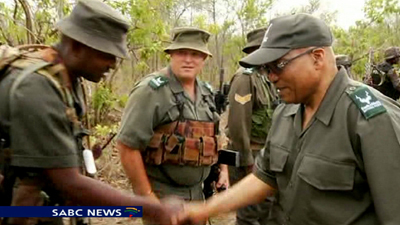 Zuma met with ranges in Kruger. On Sunday, he witnessed the darting of a rhino cow for the purpose of relocation, visited a rhino-poaching crime scene, partook in a wreath-lying ceremony for SANParks rangers, unveiled the Joint Operations Centre (JOC) and addressed communities bordering Kruger, urging them to put a stop to the pandemic. The president was taken to a scene where a rhino had been poached about three days prior. The media didn’t accompany him on this leg of the trip. “Let’s work together to promote and protect our animals. Together, let’s move South Africa forward,” Zuma concluded. We have been calling on President Zuma to step up and show some real interest in protecting our rhino. I see this as a positive move – we have nothing to lose but to thank him, encourage him and urge him to continue to give the plight of our rhino his best attention. Thank you so much fellow ‘rhino warriors’ – our voice is all we have to urge those in a position to actually do something, to do so – every voice counts – thank you for speaking up for our rhino !